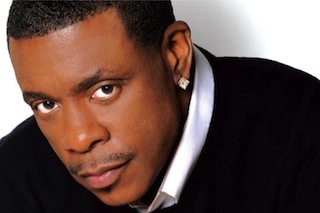 This year’s jazz safari will have celebrated US R&B songster Keith Sweat as its headlining act. The announcement was made at an evening cocktail event at Moringa in Bugolobi on Tuesday night at which keyboard maestro Pragmo and bass guitar virtuoso Sam Bisaso serenaded guests. 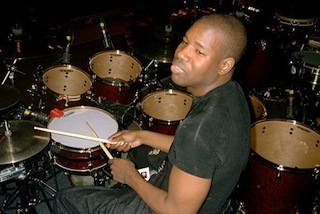 The other acts at the Friday October 4, 2013 Kampala Serena Hotel do are saxophonist Tom Braxton, trumpeter Patches Stewart and The John Blackwell Project featuring one of the world’s most acclaimed drummers. Genre enthusiasts have been promised a jazz-funk and soul at the sixth instalment of Kampala’s premier music event. Sweat will travel to Kampala alongside his seven-piece band. He boasts record sales of more that 25 million copies and was an R&B mainstay in the ‘90s gaining instant recognition owing to the heavy rotation of his hits on FM radio back in the day. Nile Gold Brand Manager Dorothy Muttu affirmed that they had not only consistently delivered a great annual jazz experience in Uganda but had contributed to the growth of the genre. “We are proud to have supported a platform that has resulted in more creativity and diversity in Uganda’s music and culture scene with the growth of more jazz talent and fans in the country. This year’s array of new headliners is a reflection of our commitment to granting our fans a musical experience that is beyond the ordinary,” she said. 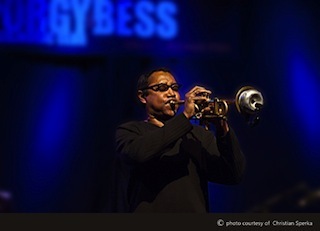 The Nile Gold Jazz Safari made its debut in 2008 and has grown to become Uganda’s premium jazz event attracting legendary jazz artistes like Eric Marienthal, Jonathan Butler, Gerald Albright, Howard Hewitt and Regina Belle. 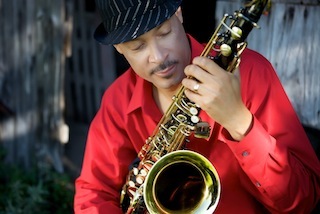 The increasing growth of the jazz fans has resulted in two straight sold out concerts in 2011 and 2012. This year’s tickets sales will be hassle-free courtesy of Payway selling points. Concertgoers will trade in their receipts/ codes for tickets on the day of the concert. Entrance has been kept at UGX150, 000. Jazz Safari founder Tshaka Mayanja intimated that this has been one of the toughest line-ups he has ever had to assemble. “They [the musicians] are all very busy and so renowned that getting them here has been hard,” he said. “This year, we are gearing up for one huge funk party. Put on your dancing shoes because you certainly won’t need seats coz the jazz-fun & soul will keep you up!” The other concert partners are Rwenzori Premium and British Airways as the official airline. This entry was posted in Uncategorized on July 3, 2013 by kampala1ne. I indeed won’t miss this night no matter what!